Our outdoor classroom is a continual work of art. It began as an idea to use the amazing space we have to its fullest potential. 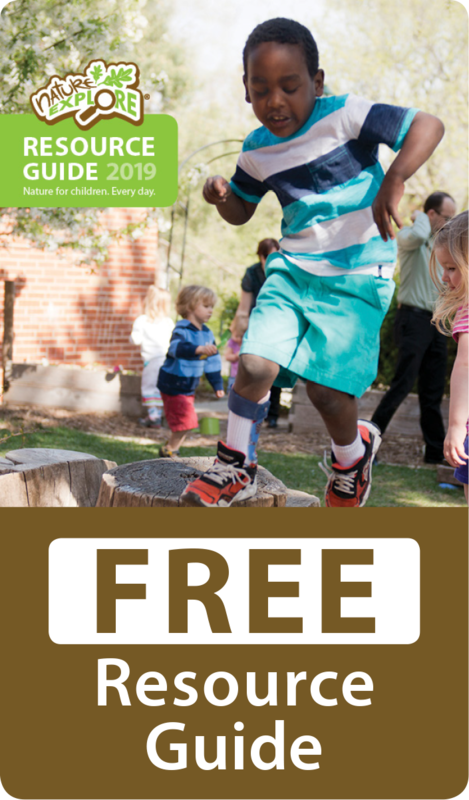 The dream of having a place that a child could make connections to nature, learn firsthand about the relationships within nature, and to combine it with the Montessori philosophy seemed a great task. With the help of parents and the community over a few years, it was ready to present. Great attention was made to incorporate the senses as much as possible. There are various textures, smells, tastes, colors, and sounds in the yard. We are next to a farm so we hear the animals daily. We planted both native and non native plants so the children could make reference to the geography and botany that is strong within the Montessori curriculum. Seasonally, the colors change in the plants as well as the fruits and vegetables. We have lemon, orange, pomegranate, and pecan trees that are a resource for the students to utilize for cooking, baking, tasting, collecting, hiding, and anything else their imagination allows. The students can rest in hammocks, pick up pine cones, mesquite tree pods, and get dirty in the mud kitchen. They have created a labyrinth and a fairy garden just because the availability was there. We are continuously fine tuning the yard to provide more opportunities to explore. As we follow the children’s interest, the possibilities are endless. Our yard is an oasis in the desert. The large grassy area is welcoming and enjoyed by the staff and children. The tree variations throughout the yard provide shade and teachable moments about seasons; conifers versus non conifers. We plant flowers that attract hummingbirds and butterflies, such as penstemon and milkweed. The children have learned to respect the honey bees as they travel from lavender bud to lavender bud and have also witnessed the awe of carpenter bees that live in our old tree stumps. 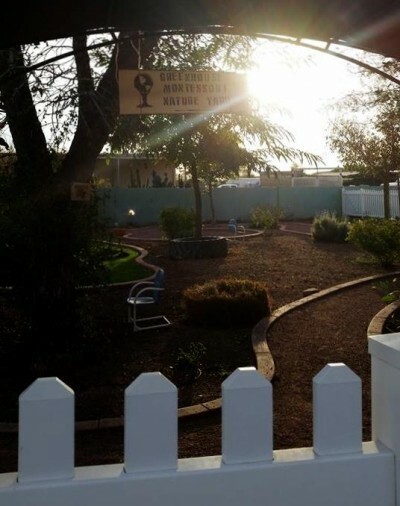 Our nature yard is spectacular and we are thankful for the core group of people who helped to make it happen as well as the families who continue to support it. Many children have, and will continue to benefit from it for years to come.